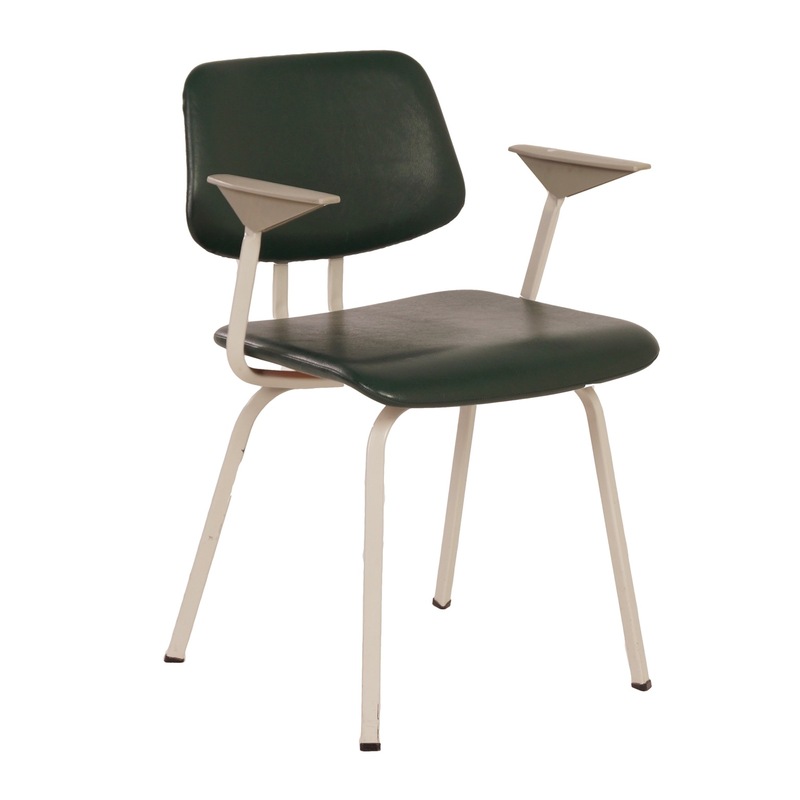 Green Industrial chair with armrests by Ahrend the circle in 1960s. Probably partly designed by Friso Kramer. You can clearly see similarities of this chair in the Revolt and Result chair. Considering the age, this chair is still in very good condition, no holes or cracks. Material: metal (light gray), plastic, wood, foam and original green skai upholstery (see photos). Marked: Ahrend de Cirkel.